The most popular handy to use guide to the particulars of the AR-15 type rifle system. 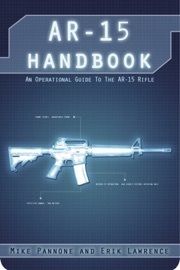 This handbook covers common info, malfunctions, care and maintenance, and training tips for those who use this rifle for fun or protections. Written by two Special Forces instructors with decades of experience with this weapon system. A must have for every range bag!